Lightweight and handy pneumatic orbital polisher with 10mm stroke that significantly reduces risk of overheating and surface damage contrary to work with a usual rotating device. Thanks to 10mm stroke it is perfect for removal of scuffs and holograms and for obtaining a perfect surface finish. 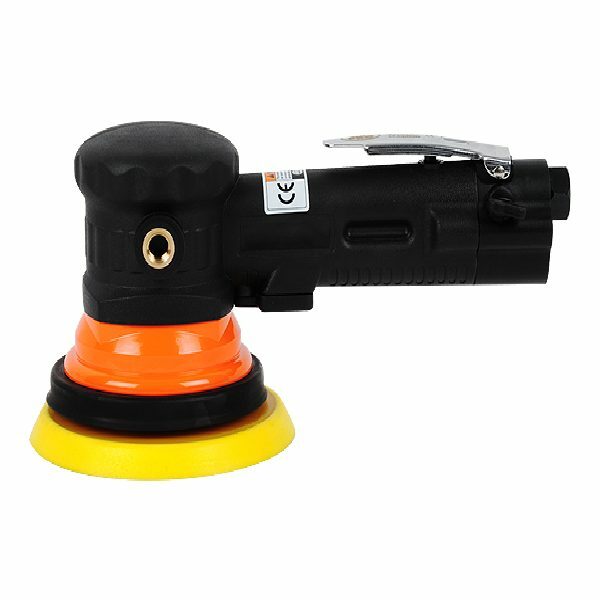 Advantages: 10mm stroke; speed smooth adjustment; work with 150mm diameter sponge; reversible side handle; lightweight and handy; 125mm working disk with Velcro.